Police are hunting for thieves who robbed a shop in the early hours of this morning. 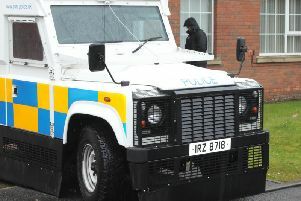 It is believed that the premises, at Aghalee Road, Aghagallon, was broken into at around 3am on Tuesday 15 January. Detective Constable Jackson said: “I would appeal to anyone with information, or who may have witnessed any suspicious activity, to please contact detectives at Lurgan Station on 101 quoting reference 125 15/01/19.